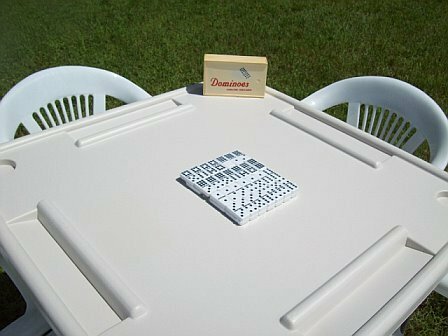 Look no more for a place to play you board games, because now you have a Benecasa Blow Mold Domino Table. 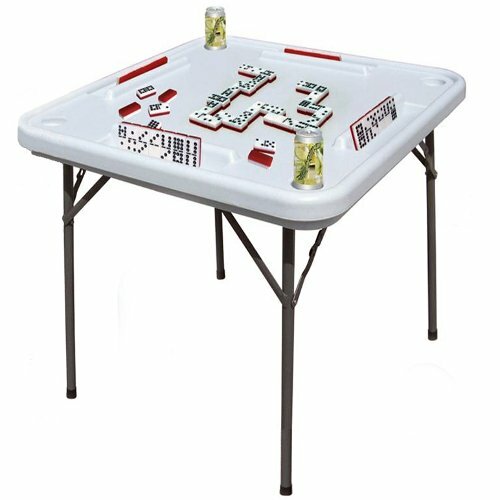 With folding metal legs you can set up this table in any place you like and start playing with your friends and family. 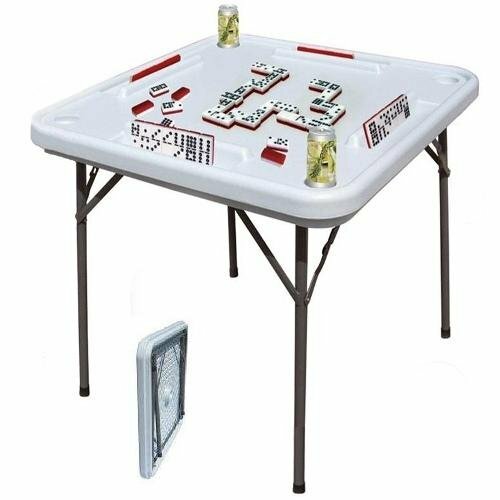 You can play indoor or outdoor and after you finish your game you can fold it up and store it in some place easily. 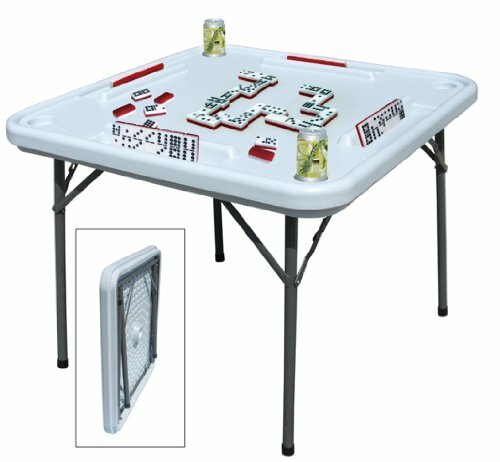 It has built-in cup holders and tile/card holders at each gamer area. Blow Mold Domino Table; Folding metal legs for simple storage; Built in cup holders and tile/card holders at each gamers area; This table is ideal for scrabble, mahjong, parlor game, card games, and dominoes obviously! Folding metal legs for easy storage.